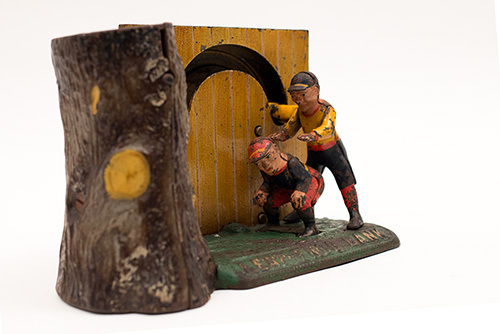 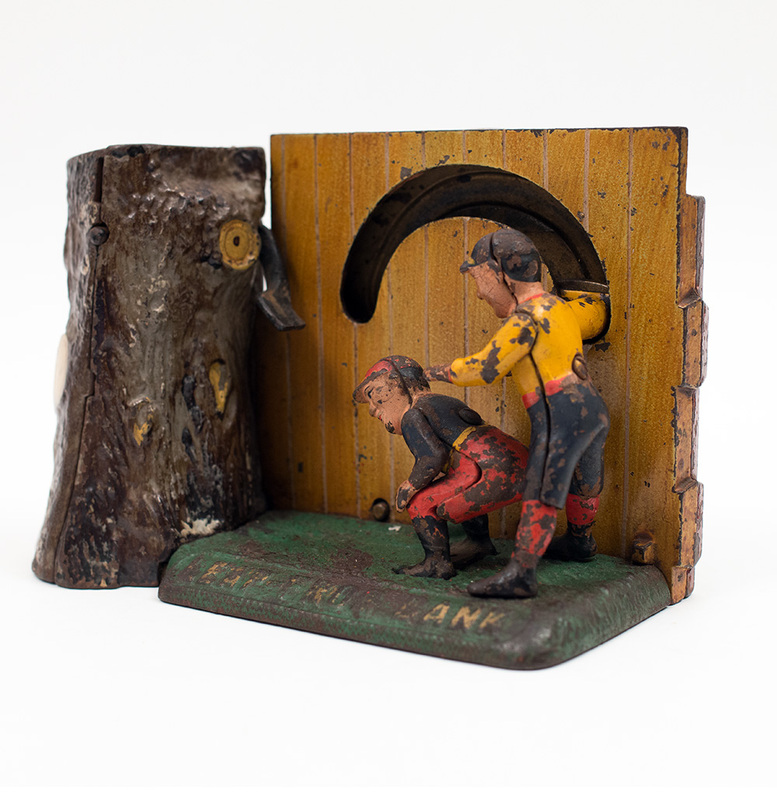 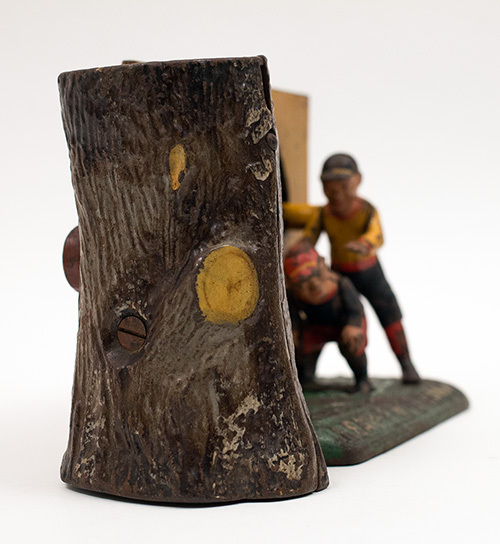 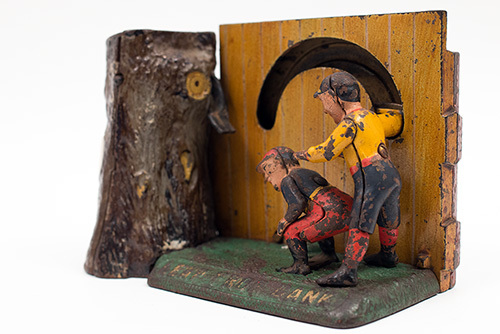 Circa 1891: Shepard Hardware Company’s Leap Frog mechanical bank illustrates the centuries old children's game and depicts two youths playing leapfrog next to the fence in their yard. To operate the bank, one puts a coin into the slot on top of the tree and clicks the button on the rear of the bank. 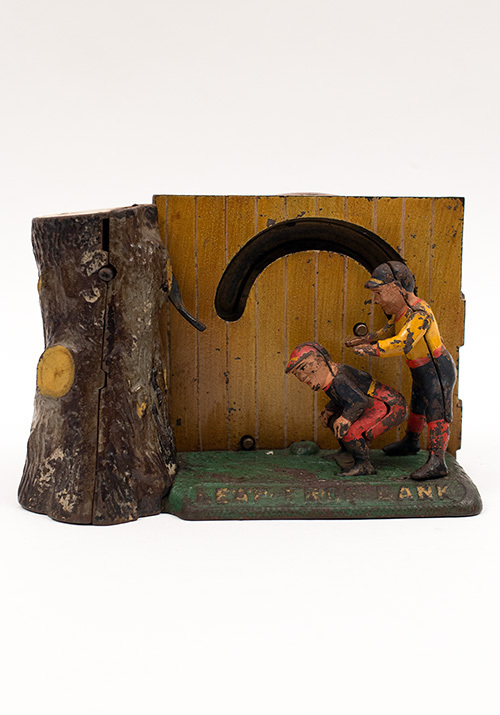 This releases the boy in the yellow shirt who flies over his companion and hits the tree's lever on the way past it, sending the coin into the bank. 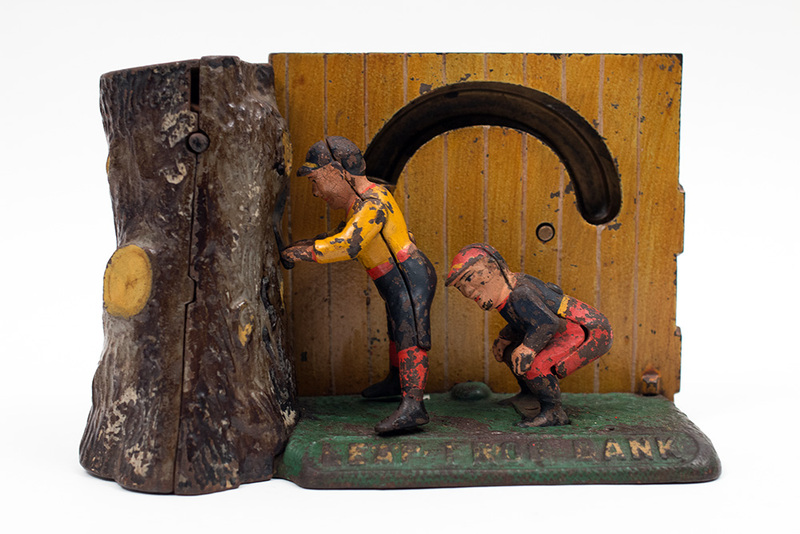 This bank is missing its trap but is completely original with all original paint and no touch-ups, chips, cracks, repairs, or replacements. 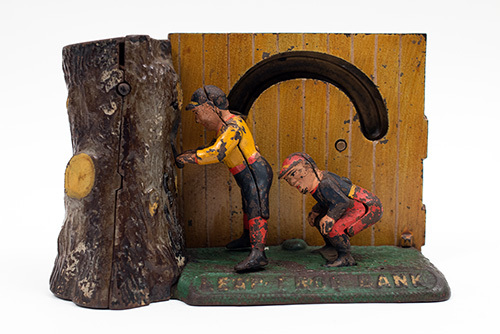 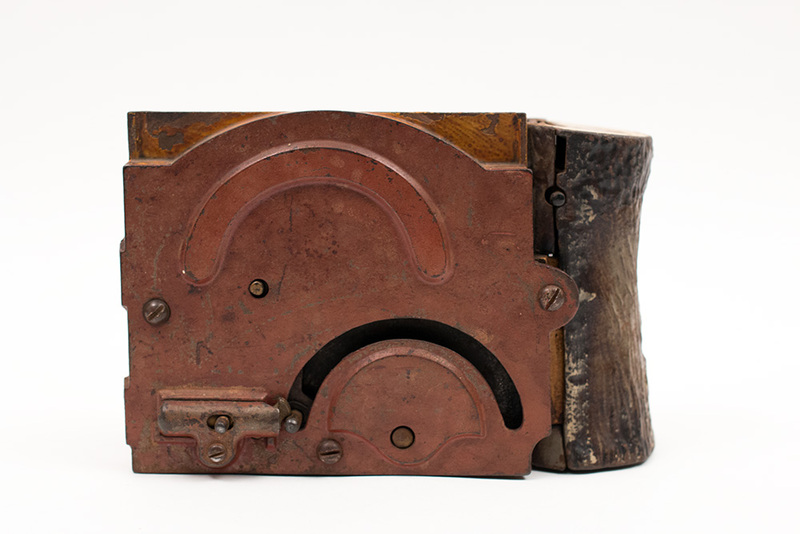 This great antique mechanical bank designed by Charles G. Shepard and Peter Adams Jr. retains approximately 80% of its all original paint, works very well, and is sure to delight its new owner.